Brian Keith was in his seventh decade in show business when he accepted the role of Judge Milton C. Hardcastle in the crime-drama Hardcastle And McCormick. In fact, he returned from semi-retirement to flex his acting muscles and portray the strict yet eccentric judge in this action-packed series. The following are 10 facts you may not know about Keith and his career. 1. He was born to be an actor. 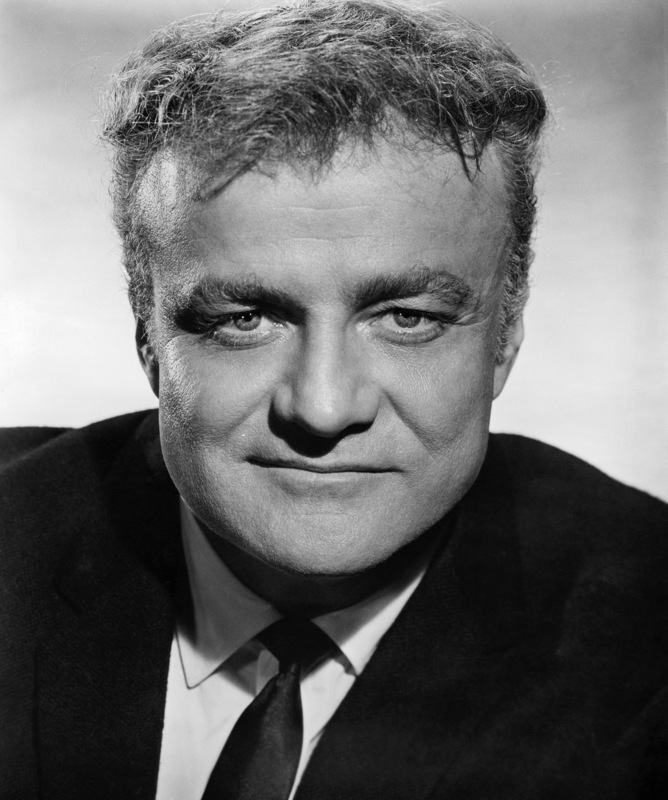 Brian Keith was born in Bayonne, New Jersey on November 14, 1921. He made his show business debut at the age of 3 appearing uncredited in a handful of silent movies. His acting talent was passed down from his parents who were both actors. His mother Helena Shipman was a stage actress while his father Robert Keith was a veteran character actor known for such films as The Wild One (1954) and Written On The Wind (1956). Helena and Robert divorced when Brian was 4, leaving the boy to be raised by his grandmother in Long Island while his mother toured. 2. His career was interrupted by duty. Born Robert Keith, Brian changed his first name before pursuing an acting career as an adult. He honed his craft for several years in summer stock and on the New York stage, but World War II interrupted his career. 3. His stepmother was Peg Entwistle. One of Keith’s stepmothers was screen actress Peg Entwistle, who may be best remembered for committing suicide by jumping from the “H” of the Hollywood sign in 1932. Like so many others, Entwistle went to Hollywood looking for her big break, but she never became a star. There just weren’t enough plum movie roles available and she never stood apart from others with the same dream. 4. He made his mark on the stage. Brian Keith served as an aerial gunner in the U.S. Marine Corps during WWII, but quickly resumed his acting career upon his return. He made his mark on the Broadway stage in Heyday in 1946 and later joined the cast of the comedy smash Mister Roberts (1948-51). 5. He was the tough guy with a heart. Brian Keith made a name for himself in the movies by playing tough guys. The shady types in Westerns and crime thrillers were a natural fit for his bigger build and gruff voice. Through the years, though, Keith illustrated that he was much more than a heavy by convincingly portraying warm and funny characters with equal success. 6. His performance in The Parent Trap led to Family Affair. 7. His life-long fan became his co-star. By all accounts, Keith relished his work in Westerns. He appeared in over a dozen movies and TV shows of the genre. Daniel Hugh Kelly, who would later play Mark McCormick alongside Keith in Hardcastle And McCormick, was said to be a huge fan of Keith’s growing up. Of Keith’s 80+ films, Kelly named Andrew V. McLaglen’s The Rare Breed and Henry Hathaway’s Nevada Smith (both from 1966) as his favorites. 8. He got a star on the Hollywood Walk of Fame. 9. His wife was also his co-star. Keith’s wife Victoria Young appeared in two episodes of Hardcastle And McCormick playing a character named Rose Carlucci. A decade earlier, she had also co-starred in The Brian Keith Show, a Garry Marshall comedy that ran from 1972-1974. The Brian Keith Show was filmed in Hawaii, her home state and a location that Keith had fallen for when he served in World War II. 10. He plays a layered judge. Bringing his extensive acting experience to Hardcastle And McCormick, Brian Keith was able to play the many layers of Judge Hardcastle. He used both the gruff characterization of many of his dramatic movie roles combined with the sensitivity he brought to his comedies. Hardcastle is a stern and often cranky professional who’s unwilling to bend the rules, but there is also great heart and humor in the veteran judge. Together Hardcastle and freewheeling ex-con Mark McCormick make a memorable, if unconventional, pair. Be sure to tune in to see Brian Keith in action in Hardcastle And McCormick on getTV weekdays at 4 pm ET/1 pm PT.